Towards the right of this picture there is a low hump of a mountain. This is Cummeenshrule. Between the camera and this summit is a narrow road which is at some 460m where it crosses the ridge. 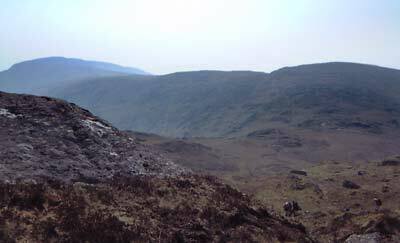 The area is known as Priests Leap after an improbable story of a priest who escaped from English soldiers.